There is enriched history of 80 million years since when EMU birds resided in the Australian region and many other parts of the glob. As members of ratite family of birds such birds along with ostrich, rhea, cassowary and kiwi make great combination. Starting EMU bird farming is easier than said if perfect plan is made which goes with the system. Thorough research is important for establishing bird farming. Apply innovation for making EMU birds farming grand success. Be particular for creating feasible environment for farming birds. These birds have stronger legs which help them for fast running. Though exclamatory but the fact is that EMU birds run for 40 miles in an hour. Proper research about habits and living of such birds make you aware of the facts related with them before donning into this business. Your planning must start by developing proper strategy by following which you expand your business operation. Being part of cursorial group EMU birds need special treatment in farming. There are several typical features which differentiate EMU birds from the rest. They have three forward pointing toes and underside of each is flat with broad pad. Differentiation between male and female birds is done on the basis of throbbing drum practice of female category and grunting by their male counterparts. Whistling by male EMU birds is common phenomenon. You must know breeding techniques of EMU birds for better understanding. Such birds lay an egg every 3 to 5 days during breeding and laying season that usually comes from October to April. It is a period when farm owners have to take special care of whole stuff with more clarity and careful planning. A unique feature of EMU bird eggs is their dark green color. Often female birds lay egg every 3 to 5 days. When female bird lays eggs male covers them with leaves, grass, straw and other things available to begin the incubating process. Business owners must do thorough research about special breeding process and implement it in farming. EMU farmers pick up eggs in farms and arrange electric incubator where they put collected eggs. When male birds are kept there to hatch required arrangement of food and water is mandatory. Starting birds business is a unique venture. When you specialize it through opening EMU birds business you need further exploration and planning. Such planning starts by understanding this bird. The pad of fat on the back of EMU bird and its unique features has to be understood. How they differ from the rest? Feathers of EMU birds are unique. Primary and secondary feathers are equal in length and don’t have two shafts. Availability of barbs separates them without interlocking to form firm vanes. Loose and hair-like body covering of these birds makes them unique. Why not a unique business where the competition is low - Yes, Starting a Rabbit Supply Business will be a rare one to get you huge profit. Want to know about Bunny Supply Store Business? Organic goat farming is becoming more and more popular especially for people looking for healthy products. Raising organic goat is not easy but as long as you want to be successful you have to have a lot of patience and do hard work. My budget of 5 to 6 lacs, place in Buldana district(mah. )want to start with 20 pairs. what are market price of emu eggs now and minimum price if market slowdown? - whom I have to contact for selling eggs is there any supply chain? and how it works they come to farm for eggs or its owner responsibility? - what is the price got farmer in hand and actual price in market? - where is nearby market for me? business location: at tallarevu, near kakinada, east godavari dist, andhrapradesh, india. i have a site measuring 80ft*120ft. side by i am running fly ash blended bricks, it makes sound while manufacturing, quarry dust, flyash, sand etc are stored near by. my doubt is whether sound from this industry will disturb the growing and laying stage or while breeding stage, whether i can go a head with this physical structure around. the other side is greenish trees are surrounded to this above said site. also on north side there is godavari canal floating. thus give me best suggestion. thank you. Dr.R.S.Sipai, Managing Director, Veteran consultant. I can convince the farmers of gujarat for this project, send me detail of it. hi i am lakshman from kalwakurthy from andhrapradesh i want project report to start emu birds farm & i can apply for loan in bank. Hi i am rajender from warangal A.P. I want to start EMU farming in wgl kindly let me know the details like land req, investment & Bank loan. Dear sir, I am having agricultural land of 38 cents in Ottapalam, Palakkad District, Kerala with water facility. Kindly advice me that how can I start a Emu bird farm and the required finance etc., at the earliest please. I may also kindly be advised with how many pairs of Emu chicks/ birds I can start the farm though I am looking forward to own more land in Ottapalam for the same purpose. Presently I am in Goa and I am scheduled to retire in the year 2013. Before my retirement, I am planning to start a Emu bird farm in my native place Ottapalam, Palakkad District, Kerala State in my 38 cent land which I am extending to 100 cents ( ONE ACRE). I may also kindly be advised about Emu birds care taken and farming apart from intimating the kind of land & facilities required for the same. Hi, this is Aravind, currently working with ICICI Bank, Hyderabad. I would like to start my own business, where I can earn a good amount of returns. I am more interested in Farming EMU Birds plant. Request you all to provide me the complete information about the business. I am really thankful, if somebody sends me the project report on the same. My preferred place to start EMU Farm is a small village, which is very close to Vijayawada, Andhra Pradesh, India. Contact No: 96764 12227.
i am from lakkavaram near jangareddygudem in westgodavari district of andhra pradesh. i am willing to start emu farming what is the money needed to start it. can you give the specifications off all the products of emu with ins price. hi. i am going to start emu bird farm, with 15 pairs. i required the clear plan (area, diet, price, insurance). if any finance loan provided also. I am from Chennai near guindy. i am willing to start emu farming. 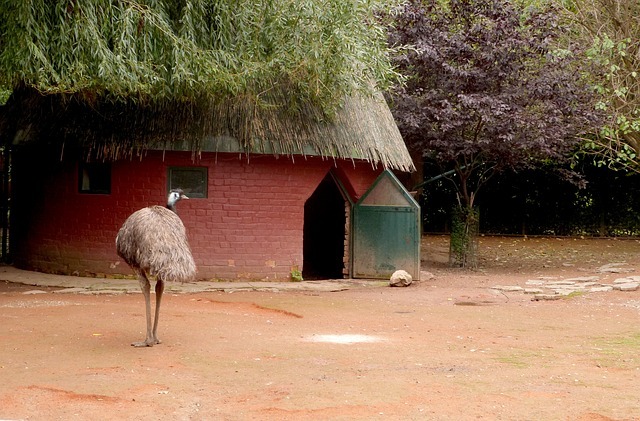 i want to know about where is the emu farm near us to buy and how much cost spend for it. how many acres of land should be needed. how to start emu farm. kindly advise me. i am interested to purchase agri land in maharashtra & start Emu Farm near pune. Please give me good suggestions as many as u can, as many as u have.. I want to start the EMU farming business in Punjab, Distt Fatehgarh Sahib. I have 20 Acre of land. Please contact me as I want to start in one Acre Land. Water is not a problem. You can contact me on 09417810647.
i am from hyderabad, we have a land of about 6 acres 60 kms away from hyd, i would like to start emu birds farming, kindly suggest me where i cld find or the link for getting the free project report from internet. is their the bank loan is available for this farming, how far it is feasible project apart from , chick farming, and goat farming and buffalo farming, pls inform and provide the information abt the project report availability. Only EMU farm in North India, Gurgaon. emuggn@yahoo.in. We can help anyone set up a farm in Haryana, Punjab, North Rajasthan. Hi, i would like to start emu birds business with 100 pairs of birds, right now we own chicken poultry farm. if you dont mind send me details of project estimate & profit details & marketing information. My poultry business is at anand, Gujarat. I am interested in setting up an emu farm in Patna on a plot of 13000 sq ft. where could I get a project report. I want to set an emu farm in distt. ferozepur in punjab. We have 50 acres of land. Plz tell me in details about it. How much money I would need to start with? I have 4000sq feet land near pune & i want to start EMU business. Pl let me know with how many EMU bird pairs can I start this business. And pl tell me @ its marketing. 1.Whats the minimum age that we can adopt for beginning (start with raring)? 2. Do we get acceptable profit in this business? 3. May i know the cost of the pair of raring birds? 4. Do we need to provide trees or any type of shelter/shed to avoid sunlight and rain? 5. Only "commercial feed" is enough to feed the emu or can we also use any natural feed like grass/hay? i want to start my own emu farm around hyderabad on a leased land. which banks are proactive in considering loan for this project. hi this is pradeep ,i want to start my own emu farm around hyderabad in 4 acres . can u plz provide the information abt the project report . Hi I am ashok mahala resident of Khatu shyam ji dist. Sikar Rajasthan. I am fully Interested for EMU farming at my farm house. Water & land not a issue for me but i want finance facility by bank. Please help me urgently. Thanks. I was interested to start emu breeding farm as a small scale business please guide me. I am in hyderabad, I like to start the business near hyderabad. Hi this deepak want to start emu farming and hatchery pl. guide us by detail Project report with Govt scheme and bank loan. I WANT TO START AN EMU FARM IN SRINAGAR. I HAVE 10 THOUSAND SQ. FEET LAND. PLEASE GIVE ME FULL DETAILS REGARDING THE EXPENDITURES FOR STARTING THE FARM. sir i am also very much interested in the project. i want to start with 10 pairs of birds near nellore andhra pradesh. how much will it cost. how to sell the products and where to get the birds. sir please help me out. i would like to understand whole business background the of emu bird farming also start the farming with complete study project and bank financing and subsidy by central and state government for enhancing the emu bird farming / meat processing industry. sir i want to start emu farm in amalapuram east godavari. so please tell me details of bank loan process. i would like to start emu farm and 1 acre of land in holur village, kolar district & karnataka state. so please tell me details of getting loan from bank & were to sell the emu birds/chicks/meat. 1. for how many emus how much land we want? 2. why we have to take pair wise emus? 3. how much investment we want for keeping emus? 4. how much profit we can get in year wise? I have 25 pairs of 7 months old emu in Karjat, Raigarh near Mumbai, Maharashtra. They will start breeding in the season starting from Sept 2011. If you are interested pl contact me on 9823018215.
i am from Mysore & had read an article about EMU bird farming from HUBLI in Times of india of 23/7/2010 & am deeply interested in the same & am very thankful for the information available on the web about the same. Especially THE SIMRAN FARM people who have taken ample of pains to publish in detail regarding the same. i would be pleased if some more details are provided to me. hi this is prakash from chittoor i heard about EMU Farms i am interested to start a EMU Farm in my town so want the project details & planing details. will you help me on this or send me the consultant's address & any books about EMU or where i can get training for farm. i have one acre in visakhapatnam distrit, Andhra Pradesh state. i want to start emu farming. kindly tell me how to start the emu farming like where to buy emu eggs are 3 to 6 months old emus. and how to grow them and how market them. Hi all this is mathan from chennai. We have a big unit of about 750 pairs of emu in chennai n andhra. We have supplied emu's for about 374 farmers and we have a buyback agreement. If you really interested in emu farming. Please call me @919884882931. I like to have good relationship with the one who is approaching, so those who have passion towards emu farming call me. Currently in chennai a restaurant for emu has been opened and its running quite well. I will help u in all technical aspect since it is a newer to india. i am an engineer and a resident of davanagere city, karnatak state. i have got farm of coconut and areca farms with a free space of about one acre available in which i would like to raise emu farm. i would like to have full information about the same and should contain detailed project report and full information about the emu bird right from egg to maturity. I am veterinary surgeon if any body want to start Emu farm business call me on 09099030525 or 09429407911. Hello Mr.Subhashchandra... You can contact us at shrivastav.saurabh@gmail.com for all details for starting this business. I am interested in starting an emu farm with minimum 50 pairs Can someone send me the complete details on this.e.g Cost of each bird,sale of eggs,sale of emu meat etc with a project report for bank loan. Hi friends this is Vamsi from Chirala AP. We have EMU farm with 200 breeders and 600 chics. Any one interested in this Emu Farming can call me or mail me for any information like, How to breed the chics, land requirements, bank project report, Loan facility, govt schemes, electricity subsidy, infra structure, how to buy chics or breeders(which lay eggs), marketing details etc. Overall I can assist you with complete facts. Interested can call me at 9246780131 or mail emubirds.2010@gmail.com. i can send you the E book regarding Emu farming or manual books too for your easy reference. 4.You sell chics any where any time. Price of the chic depends upon its age. ie day old chick costs 5000/- and there onwards calculated @750/- per month ie if you require 3 month chic it costs 7250/-(5000/-day old+3mnt*750/-). Regarding marketing you need not worry. We give BUYBACK agreement for those who purchase chics from us. 2.you can earn good profits and breakeven is for 4 years. You can earn 26000/- per pair of emus per year. 4.No trees necessary, u can provide shelter with ACC sheets roof. Yeah, i'am from Assam, city guwahati and actually am looking to start an emu farming but need to know all the profit and investment needed to start a emu farm....please help..